I currently specialize in employee engagement. I often feel uncomfortable with that term as engagement can attach to so many elements of work and aspects of our life outside of work. We can engage with each other, we can engage with our organization, we can engage with customers or clients or patients or students, we can engage with the tasks of our work. You get the picture. Not only are there many faces to engagement there are also many phases. 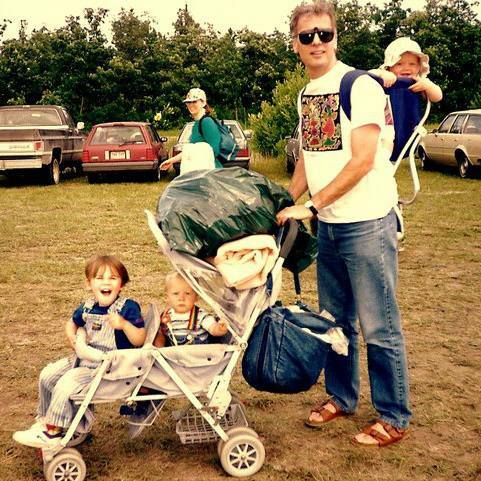 I was reminded of this through Facebook on Father’s Day when my daughter posted a twenty-one year old picture of me with my three children at the Winnipeg Folk Festival. Yes we had 3 children less than 2 years apart almost 22 years ago. There was no work/life balance at this time as the demands of parenting were high, the amount of sleep was low, and the request for energy of being a dad was nonstop. I would not have traded it for the world, it was a great phase of engagement albeit a tiring one. What is your current face of engagement? Where is your engagement directed? How does this phase of engagement compare with previous phases?